The Supreme Court has taken a step to keep the 4th Amendment from going to the dogs. It ruled today that police may not use the fruits of a warrantless dog search at the front door to a residence as probable cause for a search warrant. The case is Jardines v. Florida and the opinion, written by Justice Scalia, is here. The Supreme Court today issued its opinion in Florida v. Harris, ruling that extensive reliability evidence is not necessary for probable cause for a dog search. The opinion is here. Justice Elena Kagan said the Florida court had gone too far, and suggested that proper training and certification of the dog — rather than how it has performed in the field — might be enough for law enforcement’s purposes. The problem is our confusion about when dogs are picking up a scent and when they are responding to cues from their handlers. 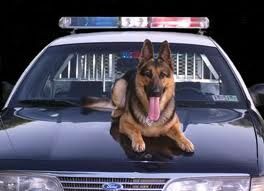 ....The problem is that a dog barking or sitting may be responding not to a smell but to his handler's hunch about a suspect's guilt. The reason we have a Fourth Amendment is precisely to prevent searches based on hunches. Courts don't require warrants for K-9 searches, yet they conclude that a positive hit is probable cause for a search. A recent Chicago Tribune study found the dogs are frequently wrong. More on the study here, and from Jacob Sullum, in A Drug-Sniffing Coin Would be Cheaper. Once again, the Fourth Amendment is going to the dogs.